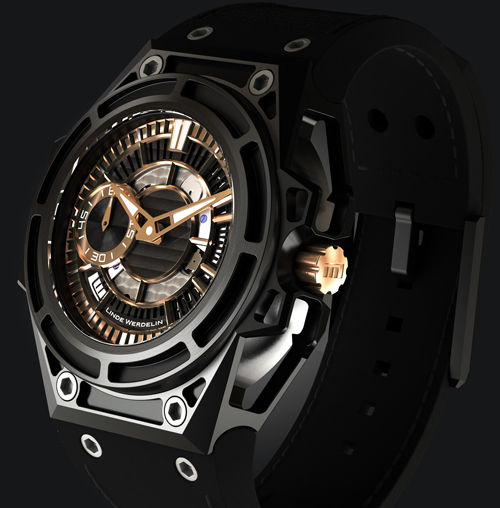 SpidoLite II Black Gold is the third series of the new family of three released in December 2012. Limited to 75 piece, this new addition presents a striking gold-plated dial with black DLC details. The upper dial bears the gold and luminova indexes, the numerals of the seconds’ sub-dial at 9 o'clock and the date function. 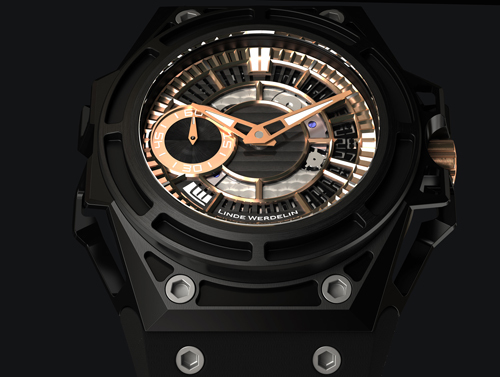 The LW 04, caliber 2251, powers the SpidoLite II Black Gold, custom-made by Concepto; independent movement manufacture based in La Chaux de Fonds. 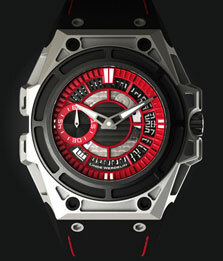 The movement is visible through the dial as well as through the sapphire crystal case-back. 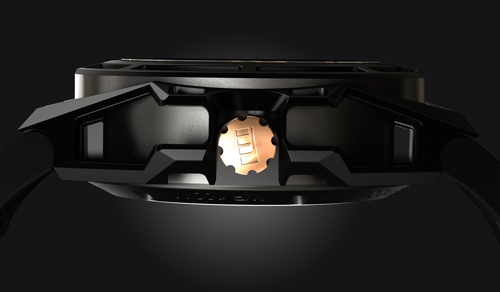 On the front and back of the movement it’s finished with a circular perlage and engraved with the Spido logo. 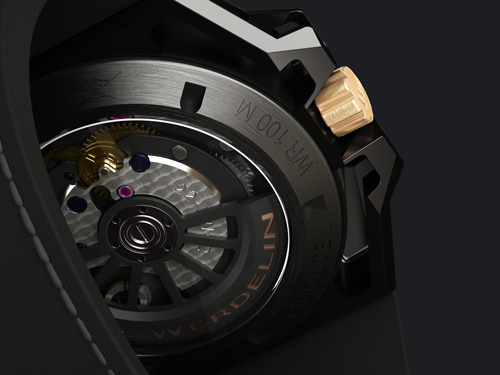 The black rotor bears a gold LINDE WERDELIN icon. Strap : SpidoLite black textured calfskin strap with grey stitching and ardillon buckle, interchangeable within LINDE WERDELIN’s proprietary strap system.